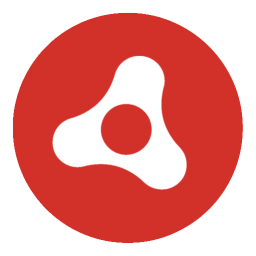 Adobe AIR application enables you to have your favorite games and web apps with you all the time. AIR Runtime technology powers some of the best-selling and award-winning mobile apps and games on Google Play store. The Adobe AIR runtime enables developers to package the same code into native apps for Windows and Mac OS desktops as well as iPhone, iPad, Kindle Fire, Nook Tablet, and other Android devices, reaching the mobile app stores for over 500 million devices. Build stunning, blazing-fast cinematic 2D and 3D games for the browser, iOS, and Android. Use fully accelerated GPU rendering, which leverages the power of OpenGL and DirectX graphics. See what the most popular AIR apps are right here. By clicking "Install", you agree to the Software License Agreement. Exponential Increase in GDI object handler due to which application quits unexpectedly (4194045). [Windows 7]Memory leak is observed when using Cairo and HTML5 canvas in AIR Desktop Runtime(4192545). [Mac] Application quits unexpectedly on Mac with OS X exception (SIGSEGV) KERN_INVALID_ADDRESS(4195975). [Mac] FLEX AIR application (digi.me) quits unexpectedly (4152837). [Mac] AIR application quits unexpectedly on network changes or screen invalidation(4011481). [Android] While using Android Video, video will hang for a second when other operations occur such ad addChild (4161877). [iOS] Background sound stuttering when going idle (4184841). [iOS] GameInput API now supports iOS8 devices. [Android] While using immersive mode on devices having soft navigational keys, pink bar appears under that navigational area (4100625).